It’s been over two weeks since I’ve posted any updates. As of (Tuesday 11.15 (my last weigh-in during class) I have lost a total of 25.1 lbs. That is another brick in weight since my previous posting. My clothes are starting to fit me differently now. I have dropped at least one pants size in the waist. I am praising God for giving me the funds, courage and strength to continue this program. 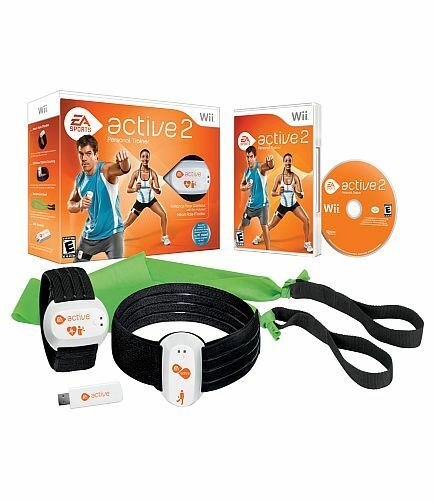 I have also purchased some resistance bands for added strength training and a EA Sports Active 2 game program for the Wii game console. This will be a nice addition to our variety of exercises. My bride has begun to use the new game program as well. See inserted picture for a glance of our new fitness tools. This afternoon I went down to the basement where my skinnier clothes are stored and tried on some 40″ waist jeans. Fit!! Win!! I have dropped nearly two full waist sizes.